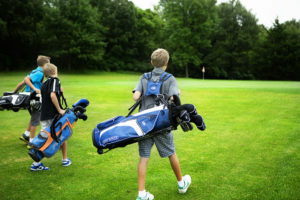 Cedar Creek has a new and improved Junior Golf Program that aims to improve the swing fundamentals of the game and reinforce the proper rules of play, all while providing a fun and healthy environment for your child. We provide enjoyable yet challenging activities that exercise the physical and mental aspects of the game. *Please try to arrive a half-hour before your tee time for instructions on the driving range and chipping green. *PARENTS: Please plan for pick up about 2 hours and 15 minutes after your player’s tee time. LEAGUE ORIENTATION DAY is on June 10th at 7:30 am- Assigned tee times will be given out on this day.